VC firms haven’t been the only ones raising hundreds of millions of dollars to invest in a booming market. After 15+ years of being the last industry anyone wanted to invest in, the music industry is coming back, and money is flooding in to buy up the rights to popular songs. As paid streaming subscriptions get mainstream adoption, the big music streaming services – namely Spotify, Apple Music, and Tencent Music, but also Pandora, Amazon Music, YouTube Music, Deezer, and others – have entered their prime. There are now over51 million paid subscription accounts among music streaming services in the US. The music industry grew 8% last year globally to $17.3 billion, driven by a 41% increase in streaming revenue and 45% increase in paid streaming revenue. The surge in music streaming means a surge in income for those who own the copyrights to songs, and the growth of entertainment in emerging markets, growing use in digital videos, and potential use of music in new content formats like VR only expand this further. Unsurprisingly, private equity firms, family offices, corporates, and pension funds want a piece of the action. There are two general types of copyrights for a song: the publishing rights and the master rights. The musical composition of a song – the lyrics, melodies, etc. 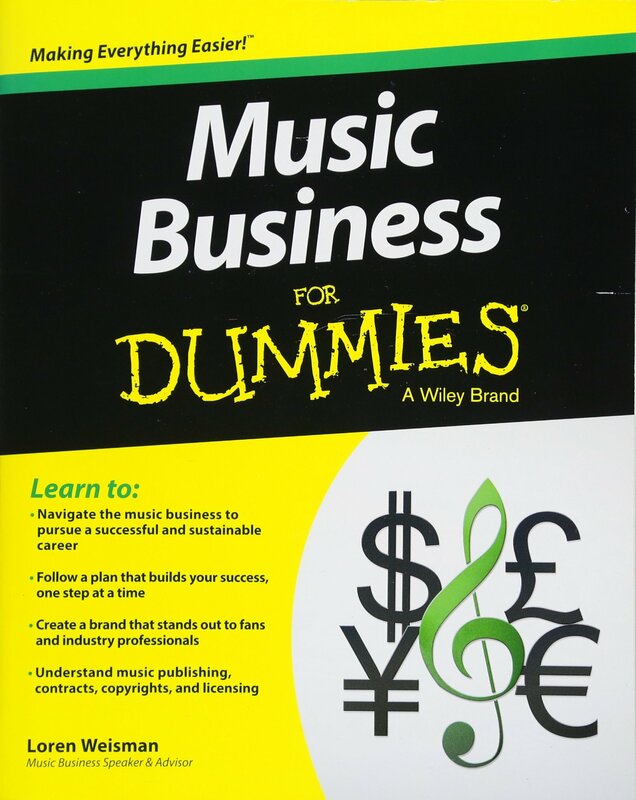 – comes from songwriters who own the publishing right (though generally they sign a publishing deal and their publisher gets ownership of it in addition to half the royalties). Meanwhile, the version of a song being performed comes from the recording artist who owns the master right (though usually they sign a record deal and the record label gets ownership of the masters and most of the royalties). Popular songs are valuable to own because of all the royalties they collect: whenever the song is played on a streaming service, downloaded from iTunes, or covered on YouTube (a mechanical license), played over radio or in a grocery store (a performance license), played as soundtrack over a movie or TV show (a sync license), and for other uses. More royalty income from a song goes to the master owner since they took on more financial risk marketing it, but publishers collect royalties from some channels that master owners don’t (like radio play, for instance). For a songwriter behind popular songs, these royalties form a predictable revenue stream that can amount to tens of thousands, hundreds of thousands, or even millions of dollars per year. Of course, most songs that are written or recorded don’t make any money: creating a track that breaks out in a crowded industry is hard. This scarcity – there are only so many thousands of popular musicians and a limited number of legendary artists whose music stays relevant for decades – means copyrights for successful musicians command a premium when they or their publisher decide to sell them. In 2017, revenue from streaming services accounted for 38% of worldwide music industry revenue, finally overtaking revenue from traditional album sales and song downloads. Subscription streaming services hit a pivot point in gaining mainstream adoption, but they still have far to go. Goldman Sachs media sector analyst Lisa Yang predicted that by 2030, the global music industry will reach $41 billion in market size as the global streaming market multiplies in size to $34 billion (nearly all of it from paid subscriptions). Earlier this week, I spoke with Merck Mercuriadis who has managed icons like Elton John, Guns N’ Roses, and Beyoncé and raised £200 million ($260 million) on the London Stock Exchange in June for an investment vehicle (Hipgnosis Songs) to acquire the catalogues of top songwriters. His plan is to raise and invest £1 billion over the next three to five years, arguing that the shift to passive consumers paying for music will take the industry to heights it has never seen before. Indeed, streaming music is a paradigm shift from the past. With all the world’s music available in one interface for free (with ads) or for an affordable subscription (without ads), consumers no longer have to actively choose which specific songs to buy (or even which to download illegally). With it all in front of them and all included in the price, people are listening to a broader range of music: they’re exploring more genres, discovering more musicians who aren’t stars on traditional radio, and going back to music from past decades. Consumers who weren’t previously buying a lot of music are now subscribing for $120 per year and spreading it across more artists. Retail businesses are doing the same: through streaming offerings like Soundtrack Your Brand (which spun out of Spotify), they’re using commercial licenses – which are more expensive – to stream a broader array of music in stores rather than putting on the radio or playing the same few CDs. Much of the music industry’s market growth is happening in China, India, Latin America, and emerging markets like Nigeria where subscription apps are replacing widespread music piracy or non-consumption. Tencent Music Entertainment, whose three streaming services have roughly 75% market share in China (a music market that expanded by 34% last year), is preparing for an IPO that could give it roughly the same $29 billion valuation Spotify received in its IPO in April. Meanwhile, music industry revenue from Latin America grew 18% last year. Western music is infused in pop culture worldwide, so as these countries enter the streaming era they are monetizing hundreds of millions of additional listeners, through ad revenue at a minimum but increasingly through paid subscriptions as well. At the talent management, publishing, and production firm Primary Wave, founder Larry Mestel is seeing emerging markets drive more revenue to his clients (like Smokey Robinson, Alice Cooper, Melissa Etheridge, and the estate of Bob Marley) as new fan bases engage with their music online. He raised a new $300 million fund (backed by Blackrock and other institutions) in 2016 to acquire rights in music catalogues amid a market he says has improved substantially due to growth opportunities stemming from the streaming model. It’s not just streaming music platforms that are driving growth either. Streaming video has exploded, whether it’s from short YouTube videos or the growing number of shows on platforms like Hulu and Amazon Prime Video, and with that comes growing sync licensing of songs for their soundtracks; global sync licensing revenue was up 10% year-over-year in 2017 alone. Over the last year, Facebook signed licenses with every large publisher to cover use of song clips by its users in Instagram Stories and Facebook videos as well. Catalogues are commonly valued based on the “net publisher’s share,” which is the average amount of annual royalty money left over after paying out any percentages owed to others (like a partial stake in the royalties still held by the artist). When Round Hill Music acquired Carlin for $245 million in January to gain ownership in the catalogues of Elvis Presley, James Brown, AC/DC, and others, it paid a 16x multiple on net publisher share, which is high but not uncommon in the current market when trading catalogues of legendary artists. Just three years ago, multiples anchored in the 10-12 range (or less for newer or smaller artists whose music has not yet shown the same longevity). Kobalt, which raised $205 million from VC firms like GV and Balderton Capital to become a technology-centric publisher and label services powerhouse, has also become an active player in the space. Aside from its core operating business (where it stands out from traditional publishers and labels for not taking control of clients’ copyrights), it has raised two funds ($600M for the most recent one) to help institutional investors like the Railpen pension fund in the UK gain exposure to music copyrights as an asset class. In December, their fund acquired the catalogue of publisher SONGS Music Publishing for a reported $160M in a sale process against 13 other bidders looking to buy ownership in songs by Lorde, The Weeknd, and other young pop and hip-hop artists. The natural question to ask when there’s a rapid surge of money (and a corresponding surge in prices) in an asset class is whether there’s a bubble. After all, last year’s industry revenues were still only 68% of those in 1999 and the rate of growth will inevitably slow once streaming has captured the early majority of consumers. But the fundamentals driving this capital are in line with a secular shift – it’s evident that music streaming still has a lot of room to grow in a few short years, especially as a large portion of the human population is just coming online (and doing so over mobile first). Plus as new content formats like augmented and virtual reality come to fruition, new categories of music sync licensing will inevitably accompany them for their soundtracks. Each catalogue is its own case, of course. As Shamrock Capital managing director Jason Sklar emphasized to me, the rising tide isn’t lifting all boats equally. The streaming revolution appears to be disproportionately benefiting hip-hop, rap, and pop given the youth skew of streaming service users and the digital-native social media engagement of the artists in those genres. Beyond the purchase price, the critical variable for evaluating a deal in this market is also the operational value a potential buyer can provide to the catalogue: their ability to actively promote songs from the past by pitching them to new TV shows, ad campaigns, and any number of other projects that will keep them culturally relevant. This is where strategic investors have an advantage over purely financial investors in publishing rights, especially when it comes to the longer tail of middle-tier artist’s whose music doesn’t naturally get the inbound demand that the Beatles or Prince catalogues do. With strong long-term market growth and a wide range of possible niches and strategies, music copyrights are an asset class where we’ll see a number of major new players develop.